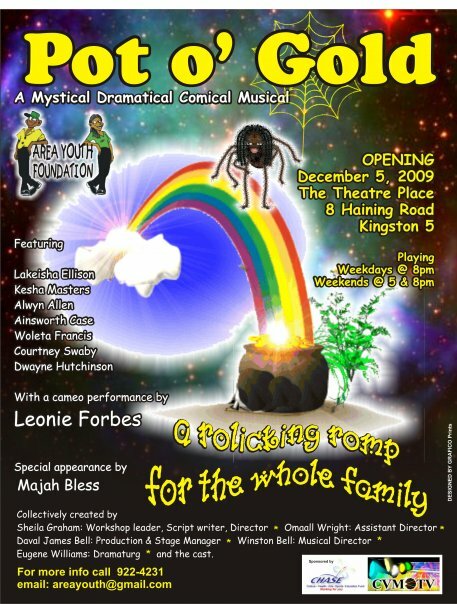 A mystical-dramatical-comical-satirical musical opening December 5th at the Theatre Place, 8 Haining Road, Kingston. Fridays & Saturdays at 8:00 pm; Sundays at 5:00 pm. Tickets are available at York and Moodie’s Pharmacies, The Theatre Place and AYF at 66 Barry Street. 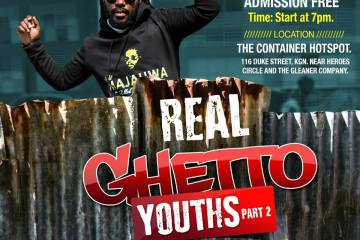 Pot o’ Gold features the AYKrew with Majah Bless and the legendary Leonie Forbes.